The staff at Fastime Racing prides itself in offering engine dyno tuning operated by trained professionals. This is a comprehensive dyno service that is used to help find lost horsepower, evaluate the performance and power of your engine, Check the engine to make sure it is running at optimal engine/oil temps, proper oil pressure and also fuel consumption. 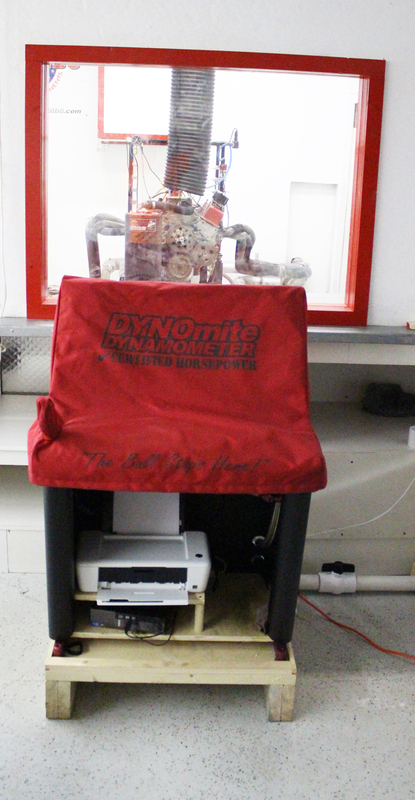 Running your engine on a dyno will give accurate results and takes all the guesswork out of your engine build. The Dyno we are using is the Land and Sea Pro 2000 Engine Dyno. This engine dyno will record true HP, Torque, and RPM readings of your engine, This allows us to pinpoint the exact RPM location of any horsepower loss or gain, We can then evaluate the components being used on the engine, make tuning changes and provide accurate information on the durability of the engine build.